Folks I would like to take the lead on something that to me is terribly lacking in our wonderful site and that is public declaration of thanks and appreciation to our Mods, Newshound, Analysts and especially to Stryker and his family. Something they can always go to and read when the frustration is overwhelming. Words that will remind them of how much we respect and appreciate the sacrifices they make for us. Think about it, they didn't have to share this with us. They could of just kept it for their friends and family and then where would we be, we'd be following the gurus and hooked on their hopium crap. How many of you would have already given up and sold your Dinar? We had seen countless times on Strykers broadcast where he gets upset from thoughtless comments made by idiots that want to critique or whine about how or what Stryker said or didn't say. The man is human and has feelings and quite frankly has put up with alot in his quest for the facts. Listen friends the people that bring this information to us to read and for Stryker to breakdown give up one of the most valuable, precious and limited things on this earth....their time. That is something they cannot ever get back, heck all the money in the world can not buy it back for them. Time away from rest, recreation and most importantly their family/friends and they do it for free out of love. 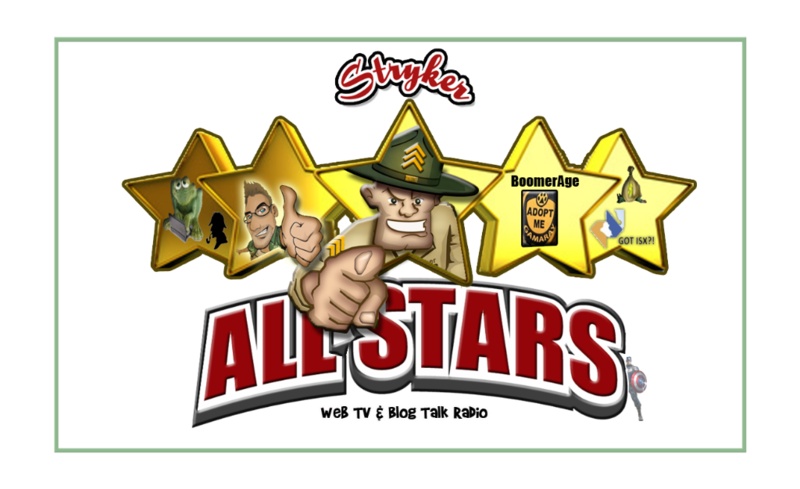 So I am asking each and every member of the Strykerblog family to publicly express your thanks. Show them how much we truly respect and appreciate the sacrifices they make for us day in and day out. To Stryker, Lady Stryker and Strykers family thank you for sharing him with us. Thank you for giving up such a valuable thing a personal time so that Steve and do the tedious job of bringing the facts that I believe he was chosen to do. Thank you so much. To the many mods, newshound and support people we never know about. Thank you for having the faith in Steve that you do for without it you would not give up all the tireless hours that you do helping him find all the news, data, technology and resources he needs to do the wonderful job that he does. There is no doubt in mind that wothout each and every one of you this would not be as spectacular a site as it is. Cheers to that. They do a wonderful job. Not to mention figuring everything out as well and doing great break downs. I am more than happy to donate to this site and I feel like I am paying every month to have great people talk about this crazy investment and country of Iraq; also keeping "the wrong people" away so good information can be exchanged. I am more a personable kind of guy so I like to send meaningful private messages to all of them. "The truth is out there." Somewhere. Well stated jasa and chris. I will let you in on another little secret about Steve. As most of you know I work in Afghanistan. I will be coming home for 3 weeks in September. My darlin wife is leading a bible study on the day I arrive. So instead of spending 8 hours sitting around the airport or renting a car to drive home, Steve has graciously agreed to pick me up and put up with me for those few hours. That is a true friend. Thank you Steve for all you do for us. Aw heck I may just give him a big ole wet kiss when I see him. I appreciate everything you do to educate and inform us. You guys are living out our commandment to "Love one another". Can't wait to meet you all. thank you stryker, stryker family, times up, stevoo rss and all the other people who are involved in this great website. I truly appreciate all that you do, all the time effort and frustration that you all go thru for all of US!! Before finding this site I was a heartbeat of giving all my dinar back because of the crazy gurus!! Thanks for everything and hope to see everyone at the rvQ!! For all the kind things you do, using your teaching tools and talents, Keeping everything in balance, Bringing out our very best, We know for you, it is essential to find the facts, In hopes we understand and trust the facts, In teaching, a teacher goes out of there way, By bringing in facts for us day after day, At times, we know, that there is stress, Hoping the stress is o'er shadowed with success, A teacher has patience unending, Unselfishly of the time spending with us. Stryker, we all hope that you know, That we do care and love you so, With our love and appreciation, You are ranked #1 with us. Don't know how much of a polm that was lol, but you and I spend a ton of time on a daily base trying to improve WebTV and other things to make our site #1 and great for the folks here, and thank again for that my friend! Cant wait to meet you in person. Please do not Pin this for a couple of days to allow the members to express their thoughts. Thank you. Stryker ........ simply put ....... YOU R THE BEST! Thanx for ur devotion to our investment, and ALL the time u spend, away from ur family, just for us! Ty Lisa and family for allowing Stryker to help us to understand this crazy investment, lol .... we appreciate ALL of u so much! Thank u steve for keeping it "real" here at Strykerblog! There is simply nowhere on the internet anyone can find a place that's not mostly hype .... but not here! that's what I appreciate most! Tyvm to ALL my fellow newshounds, and a great big tyvm to Gamaray, our senior admin and newshound here! I'd also like to say to all, that it's been a real pleasure hunting news for Strykerblog, hoping to help in any way possible ..... ty Stryker for allowing that .... anything I can do for u to help, I'm ready, willing, and mostly available .... ty for ur tireless hours that u give of yourself, Stryker, just to bring us the FACTS! I appreciate u very very much! Yes Times-up, I could not have said it better! Thanks to all! We have not been members for long but your daily input is not only incouraging to us personally, but keeps us all unified as a family of Believers in Christ and in the RV of the Dinar! God's Abundant Blessings on all of you and the whole Stryker Family! We all need to keep praying for the Iraqi people and all of the military men and women we (and other countries) have and are sending over for their and our homelands protection! We, as a Christian nation, all believe that OUR GOD will protect his people at all times! May I say Thank you to you all for all your hard work and diligence in finding the truth. A special thank you goes out to Stryker, for I personally would have sold my Dinar years ago if it had not been for his understanding of these confusing articles. You put the pieces together in a way I could understand, and many times kept me sane, again I thank you.